Draft (board down) 2' 6"
Mast height above waterline 19' 6"
She is a beautiful boat that sails very well. Really, it takes only 10-15 minutes to rig. Place the masts in the slots, attach booms, and unfurl sails. 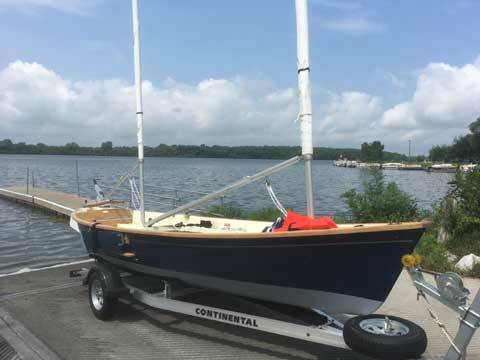 Sadly, events force the sale of this beautiful daysailer.